1.Look like a rockstar with our EL sunglasses! 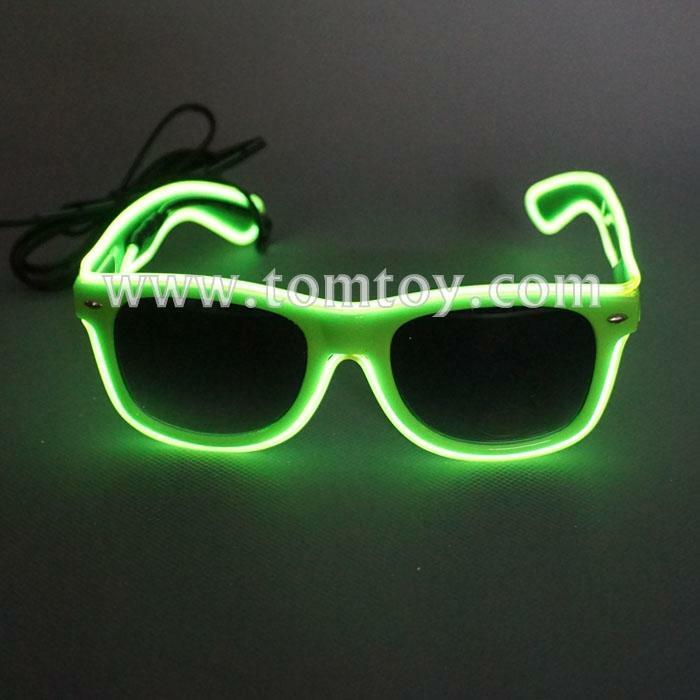 2.These glasses are lined with super bright EL wire. 3.To turn them on, simply press the button on the battery pack. 4.Use the button to change the modes; you can choose from fast flash, slow flash, and constant on. Sold individually. 5.Two pieces batteries are included and installed!